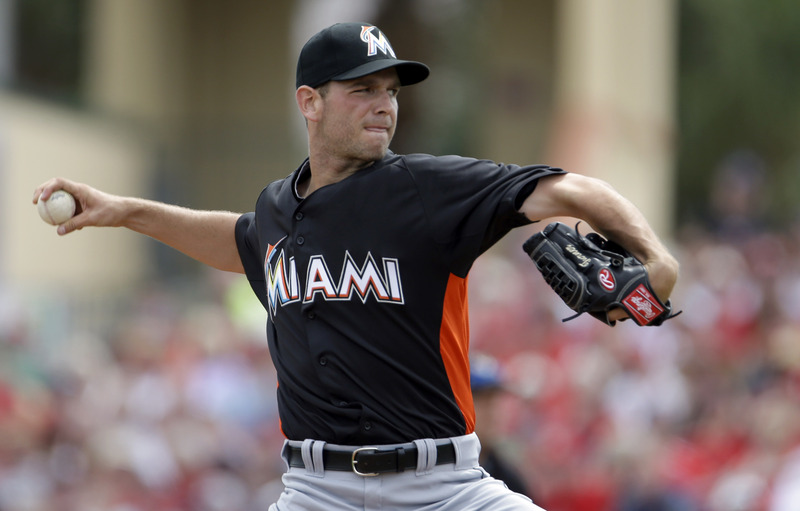 Late last week the Chicago Cubs claimed right-handed pitcher Jacob Turner from the Miami Marlins who had placed him on revocable waivers. With the No. 2 priority, the Cubs placed their claim on Turner after the Colorado Rockies took a pass on the 23-year-old former top prospect. The Marlins had literally zero leverage in working out a trade with the Cubs, so Chicago was able to acquire Turner for two relief pitchers in the low minors, Tyler Bremer and Jose Arias. It is likely that neither of those pitchers will ever reach the Major Leagues, so this deal can only be described as a win for the Cubs. How big of a win though, is what Cubs fans are eager to discover. If you were a Tigers fan reading that scouting report, you were as giddy as Cubs fans awaiting the eventual promotion of Kris Bryant. The problem though, was that Turner’s fastball has not come close to reaching the 98 mph cited above and instead has averaged 92.6 mph this season, which is actually a tick above the 91+ mph Turner had averaged in his previous three big league seasons. BA described Turner’s fastball that year as ranging from 90-94, touching 95 which is the second consecutive year Turner had reports of diminishing velocity. Without an elite fastball, Turner’s secondary pitches are not as effective and this resulted in a below average strikeout rate for the Miami Marlins, who acquired him in return for Anibal Sanchez, as Turner struck out just 5.87 batters per nine in 118 innings pitched in 2013, after averaging 5.89 K/9 in 55 innings split between Detroit and Miami in 2012. While Turner continued to underwhelm with the strikeouts this season, his rate of 6.20 K/9 represents a career best in MLB and he has coupled that rate with an impressive 2.64 BB/9. These rates along with an unfortunate .368 BABIP and 64 percent strand rate bring Turner’s FIP down to 4.00, despite an ERA of 5.97. Additionally, with the amount of ground balls Turner induces, his HR/9 rate of 10.3 percent should come down which lowers his xFIP to 3.92. Despite the reasons for optimism, pessimism still abounds when it comes to Jacob Turner and his chances of becoming an impact starting pitcher in MLB. The main deterrent to sticking in a starting rotation for Turner is his effectiveness against lefties, which is directly related to his ability to develop an average changeup. Dave Cameron, editor of Fan Graphs, illuminates this subject with his post “A Reason For Pessimism About Jacob Turner.” In the piece, Cameron points out that of the 149 pitchers with at least 100 innings pitched against left-handed hitters since 2011, Turner ranks No. 147 in strikeout percentage minus walk percentage at just one percent. So the downside of Jacob Turner is a middle reliever. However, that fact alone is one of the reasons why this was a no-lose trade from the Cubs perspective. Turner is younger than both of the minor league relievers who were dealt to Miami, and both of those pitchers can only hope to one day make it into a big league bullpen. Turner, on the other hand, still possesses the upside of a mid-rotation starting pitcher and at the very least, he can be a serviceable reliever in the middle of the Cubs pen. Turner has a $1 million team option for the 2015 season and becomes arbitration eligible for the first time in 2016. While Theo Epstein and Jed Hoyer had the good fortune of possessing the No. 2 waiver priority due to the Cubs miserable record, this move goes down as just another in a long line of low-risk, high-reward acquisitions as the Cubs continue to add depth at starting pitcher. For now, Turner will enter the Cubs bullpen, but the hope is that eventually pitching coach Chris Bosio can reveal some of the untapped potential in Turner’s right arm and develop him into a reliable member of the starting rotation.